Salon quality therapeutic hair spray formulated with tea tree and peppermint oils as well as natural herbal ingredients to provide continual scalp therapy by simply styling your hair! 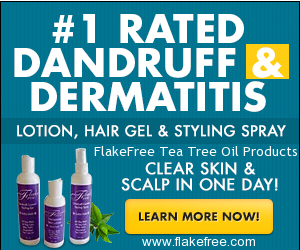 If you have dandruff, scalp dermatitis or psoriasis, you shouldn't be using normal stying products as they can actually compound your condition. 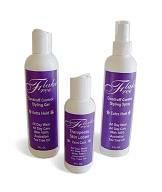 Flake Free is specifically designed to treat problem scalp conditions, and add luster and vitality to your hair. Relieves itching, flaking, dry hair and scalp caused by dandruff, scalp dermatitis, and bleaching/coloring hair. 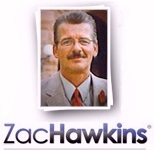 Great styling and holding properties as well as a great natural fragrance. Water, SD 40, Alcohol, AMP, Acrylates copolymer Dimethicone, Panthenol, Tea Tree Oil, Peppermint Oil, Salicyllic Acid 1.8%, Preservative. 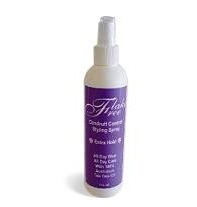 Spray in short bursts 4-6 inches from hair with special attention to problem areas. Work into scalp with finger tips. Style as usual. Lock in finish style by spraying all over if desired. Use daily to add luster to dry lifeless hair.